We Buy Sterling Silver and Fine China - Sell Now! Buying Sterling Silver, Fine China, Crystal and Vintage Collectibles. Always purchasing… from individual items to entire estate buyouts. We Buy Fine China: Complete services, individual serving pieces, cabinet plates, hand decorated vases. If you aren’t sure of the maker or pattern, just email us a couple of pictures and we’ll do the research! 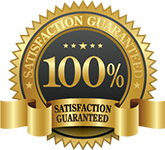 We Buy Sterling Silver: Antique and modern sterling flatware, continental silver (we are very knowledgable in world silver marks), US coin silver, unmarked silver, bullion. 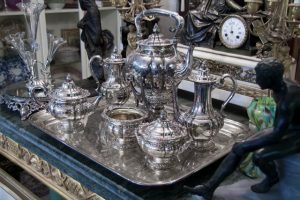 We Buy Silverplate: Flatware, and large or ornate holloware. We Buy Crystal: Fine French, Irish, English and Austrian crystal of all types. We Buy Collectibles: Vintage Toys, Trains and Golden and Silver Age comic books and Sci Fi Movie Memorabilia.